It is one of my greatest joys to study the Word of God. Indeed the substance of it is found in the study. It’s powerful, on the surface, but we come to know that power from within when we put our fingers into it – like soil, dig around, smell it and take in the endless wonder it is – when we study. In the Hebrew is where we find the context to all the symbolism in the Bible. When studying the Old Testament, the Hebrew is the primary dig for meaning. This is true for the New, but it has the flair of Greek to run along side it. Yet when reading Revelation one cannot escape the profound importance of the Hebrew, since it is full of the Hebraic symbolism that eliminates so very much misinterpretation. In Hebrew God is communicating to a finite people in the finite world He placed them in. So He uses His language to form solidarity in everything they could see, touch, smell and observe. Everything means something to God. It’s our delightful (hopefully) duty to to find out each nuance of its meaning. There are two words in the above scripture that are full of huge significance in their meaning. Here is the symbolic meaning to those words. You see back then there were no climatologist, weather forecasters, almanacs, and the like. People watched closely the landscape and it’s signals for the changing seasons. The almond tree was the first to begin to awaken in the Spring. Spring time is the season where all things reawaken from a cold and seemingly suppressed or dead time. The landscapes in winter look barren and dying. Then spring comes and everything begins to prove that God works especially and powerfully as much below the surface as He does where we can see. There’s alot going on in the sapping down of the trees, the soil. The elements of earth are tended to in the winter. Most of the year we see the tending up on the surface. Winter is faith/trust season. Where God works deeply where none can see, deep down. The season here for Jeremiah was significantly detailed to him and his call. Yet, it carries over to us in this time as well. Here is where we begin to be watchful for all the Lord has done in the underlying surfaces of our hearts. It comes with the promise given in various ways, God is watchful to fulfill His Word and purposes in the world and in us individually (Is.55:11). He is with us in all seasons (Matt. 28:20), He will accomplish what He has set out to do (Phil. 1:6). Spring is the season of HOPE! Are we watching? 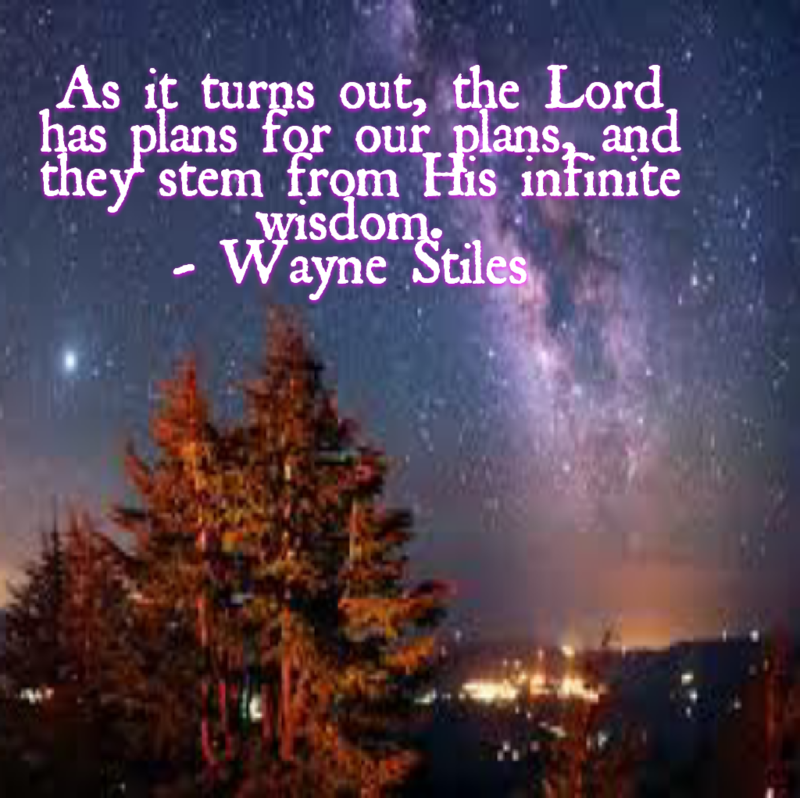 Are we waiting with hopeful antisipation for the Lord and all He is and will do, both in the larger picture and in us? It’s only obvious to say, when God is watchful, we must join Him. 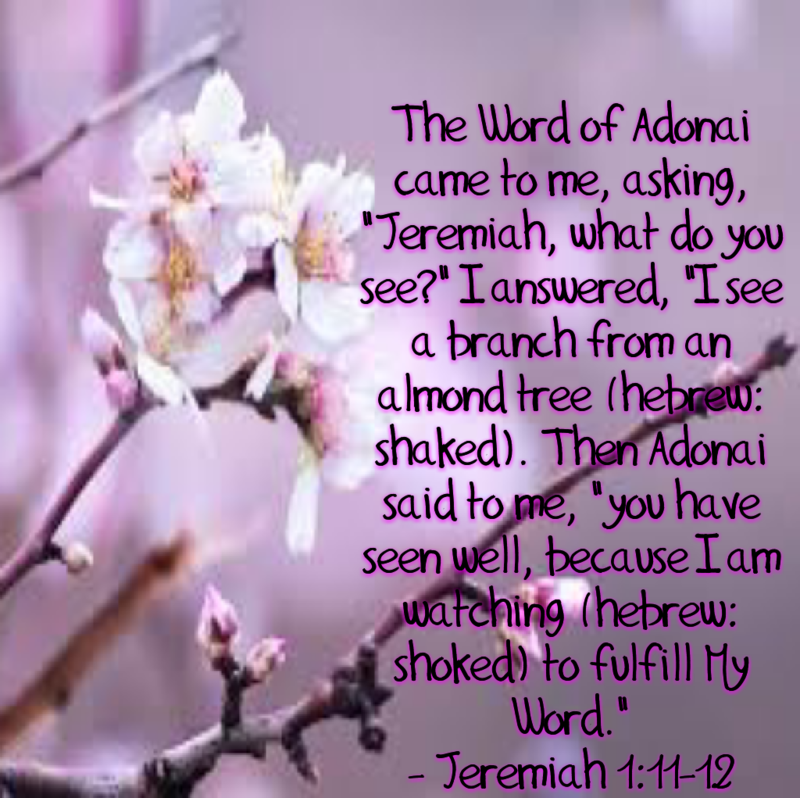 He is watchful at all seasons, but Spring is significant to Him for this particular watchfulness (fulfillment). Our God delights to reveal Himself to us. We can only be unified in such delight when we join Him in what He is doing. The world (as in its business, it’s habits) distracts us. The earth joins Him without fail. I don’t have almond trees where I live, but I watch with full antisipation for the buds and blooms at this time of year. Watching for His promise of new life, and life that is being renewed after a season of cold and seeming dormancy. Winter is the season of waiting, forced inside unlike the rest of the year, to live. God works the earth alone in winter, He doesn’t require our help. The wonders of what He alone can do is powerfully displayed in Spring. This winter taught huge lessons about waiting for us this year. We wait still. Watching, watching for the fruit of this work to give its blossom. Not yet seen, but soon! Just like His return! Being watchful, and ready is springs call upon us! Answer the call! I really liked this post! Love Spring and seeing the new life and activity.